There are some great prices on non-stop flights available from Vancouver to Tokyo, Japan on ANA (All Nippon Airways), a very good airline. The flights also use Tokyo's HND airport, the most convenient airport to downtown Tokyo. October - Try Mon, Tue, Wed, Thu departure dates. November - Try Mon, Tue, Wed, Thu departure dates. Oct/Nov departure dates will be about $40 more than September dates. As you've probably noticed, when you get to Momondo or Skyscanner, the booking site showing the cheapest price for this deal is usually ExploreTrip. They're definitely one of the lower quality booking sites out there, and not normally one I would recommend, if a higher ranked booking site were showing this price. With previous deals that I've seen from ANA over the years, as long as the third party booking site is able to get the 13 digit ticket # issued, that's all that really matters, as this means your ticket has been issued by the airline. You can use this ticket # to check your reservation directly on the ANA website. Your reservation is just as solid as though you booked with the airline itself. Where the quality of the booking site comes into play is in terms of customer support, should you need any help with your booking somewhere down the line (modifying, cancelling, etc). Airlines don't offer customer support when you book through a third party site. So you would be at the mercy of ExploreTrip's support for help. As an alternative, in some cases, you may find that Flight Network is showing these for about $20 more, and they are one of the highest ranked booking sites with better customer support. Not all dates may be available though. Try searching on Flight Network (using the same dates provided above), and when you get to the search results, click on the price showing up under the ANA All Nippon Airways logo. This should filter the results, and only show you the ANA flights. Or, you can also try searching on the ANA website directly, although the prices are about $60 higher on there. Update 11/21 - September/October 2017 dates have now dropped to ~$590 CAD roundtrip including axes. October/November dates are available for about $40 more. - To book return dates past October 17th, you will need to use Momondo, because Skyscanner's calendar search doesn't go beyond that date. - The departure date needs to be in September to keep the price under $600. October and November departures will be slightly more, bringing the price up to between $620 to $670. - If you do depart in September, flights with a return date past October 19th seem to be about $30 more. If you keep the return date in September, the price should still be under $600. Update 12/19 - While not quite as cheap as before, certain non-stop flights with ANA from Vancouver to Tokyo, Japan between January and April have dropped to $655 CAD roundtrip including taxes. Update 12/21 - Japan Airlines (also a very good airline) has responded to ANA by dropping the price of their non-stop flights in Jan/Feb/Mar/Apr from Vancouver to Tokyo, Japan (NRT) down to $617 CAD roundtrip including taxes. When using Skyscanner, you may want to click on 'More' and select Nanak Flights for booking. Update 1/9 - The non-stop flights from Vancouver to Tokyo with Japan Airlines for $614 CAD roundtrip including taxes are back again today, with dates that now extend a little further into May. 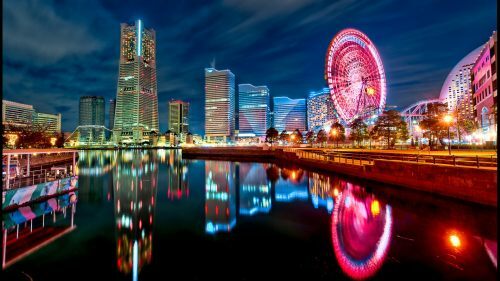 Update 2/6 - Non-stop flights from Vancouver to Tokyo with Japan Airlines for $614 to $620 CAD roundtrip including taxes are available again today, for April and May travel. The map below will show you some great deals on accommodations in an ideal location in Tokyo for under $99 CAD/night for 2 people. Shinjuku is my pick for the best area to stay in Tokyo. ^^ I've learned that 'Hanami' is the traditional Japanese custom of enjoying the transient beauty of flowers, particularly during cherry blossom season. vancouver, yvr, flight deals, asia, east asia, tokyo, japan, hnd, ana and all nippon airways. 5 Responses to "Vancouver to Tokyo, Japan - $586 CAD roundtrip including taxes | non-stop flights on ANA"
I tried booking for Oct 4-17th but I don't see any of those deals. Do you know why? The September/October dates were only available when this deal first came out, a while back. Currently, the cheaper dates are only available between January and June. you recommended: When using Skyscanner, you may want to click on 'More' and select " Nanak Flights" for booking. If you search the blog post for a paragraph with the title 'A note about the booking sites involved' you'll see some thoughts that I have on ExploreTrip.